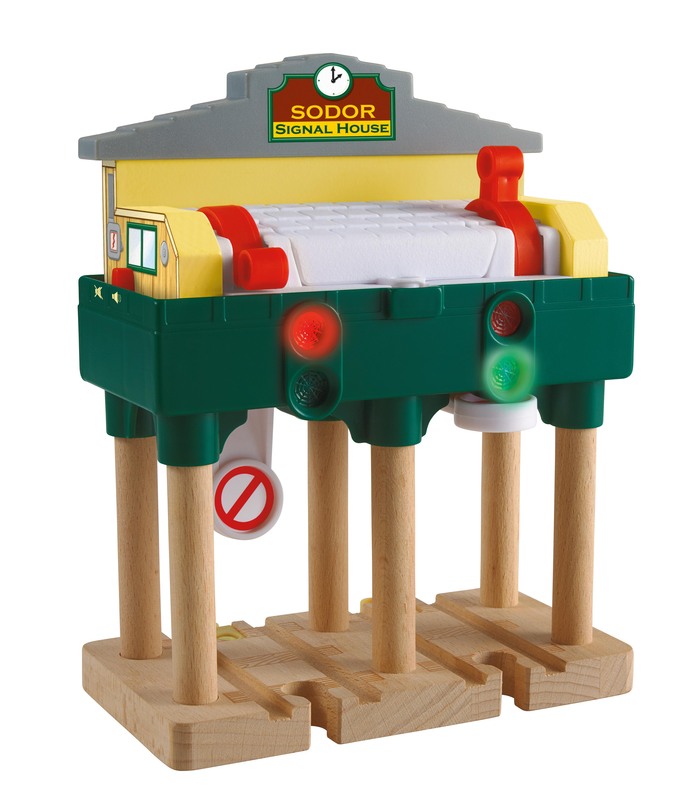 Deluxe Over the Track Signal features electronic train signals with working lights & sounds. Features a switch on the side that allows the parent to set the toy to "quiet" mode. This turns off the signal's sounds, but the lights keep working. The switch should be set to the "on" position to fully enjoy the lights and sounds features. Measures 5.75" wide and the track under the signal is 3" long. Requires two AA batteries, included.